Garages are not typically regulated with heat and air like the rest of a house. Because of this, they tend to get cold in the winter and hot in the summer. Venting a garage will help cool it somewhat in hot weather by creating air flow between the garage and the outside. There are a several techniques for venting a garage. Vents can help release heat built up in a garage. Open a window. This is a very basic way to vent a garage, but it works to a certain extent. If you have two windows, open both—air will flow between the two, resulting in a breeze. Having a window installed if you don't already have one is expensive, however. If you are contemplating adding a window strictly for ventilation, other options might be cheaper. Place a box fan in a window and close the window down on top of it to hold it in place. If the outside is cooler that the garage, have the fan face inward, so that the fan pulls the outside air in. If the air in the garage is stagnant, turn the fan to face outward so it can pull the air out. 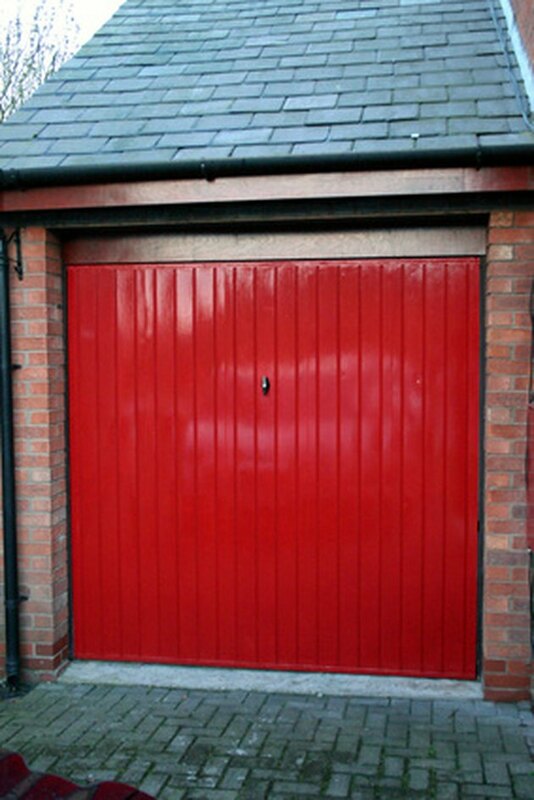 Leave a small crack open at the bottom of the garage door to help cause a cross breeze between the window and door. Install a purchased vent on the roof (this will only work if the garage is a single unit with no room above it). 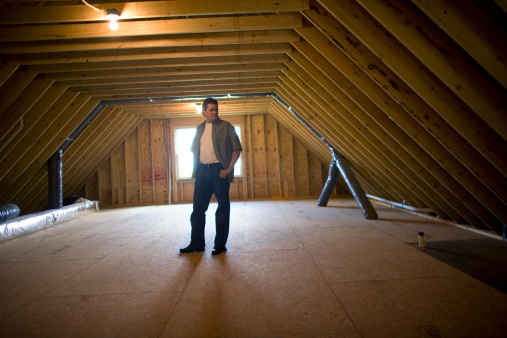 Using a circular saw or compass saw, cut a hole the same dimensions as the vent in the point of the roof. Make the cut no deeper than 5/8 inch (the greatest depth of the roof sheathing). Attach the vent with the nails or screws that come with it. Caulk around the vent where it meets the roof, caulking around all nails or screws that hold it in place to make sure no water leaks through. The vent will allow rising hot air to escape out of the roof of the garage. Open windows or install vents low to the ground on the sides of garage to increase air flow even more. Check where support beams are located before cutting into the wall, then install side vents in the same way as the roof vent. Install several vents that can fit between studs, if desired. What Is a Gable Vent?